Kingdom Hearts III released last week and has been anticipated for a long time, easily racking up high scores from critics and fans alike. Now, Square Enix has confirmed they've shipped 5 million copies. These are not sales but considering how many copies have been shipped the sales should be pretty high. Also, these are physical copies and doesn't include digital copies which are likely just as high. 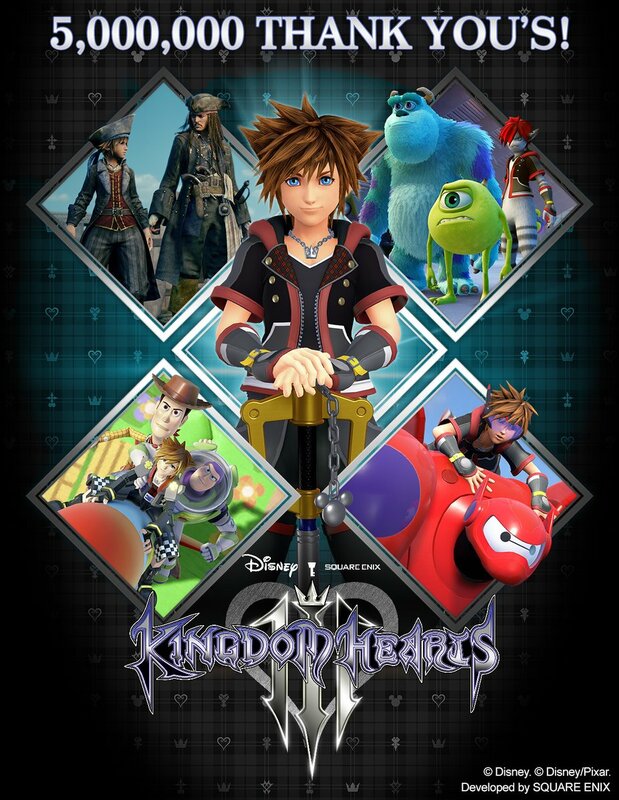 Kingdom Hearts III is the latest mainline entry in the Disney + Final Fantasy crossover that started in 2002. Using action-RPG elements and a complicated, just appealing, story the games have been a critical hit and the recent game is the final entry in the Dark Seeker Saga, or Xehanort Saga. Kingdom Hearts III is now available for PS4 and Xbox One. Check out our review here. Kingdom Hearts is a complicated and densely packed franchise, and those hoping to drop into Kingdom Hearts III without any knowledge about the game will have a hard time.